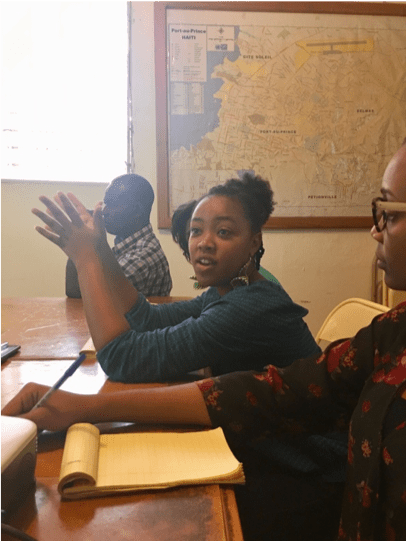 You may remember Beverly from her interview with RFI earlier this spring where she talked with other public health experts about the vital importance of safely managing waste in Haiti. Beverly joined SOIL’s team in January 2018 as an EkoLakay Coordinator and her contributions to our work in Port-au-Prince have already been extensive. With a background in social entrepreneurship and management, she’s now managing SOIL’s sanitation service in Haiti’s capital city with wisdom and dedication as our new EkoLakay Director. Read an interview with Beverly Pierre below to learn more about her vision for the future of Haiti and what she wants you to know about the day-to-day of making SOIL’s sanitation service run. “I’m a HELP alumna and I graduated in 2015 with a Bachelors in Economics and Management. I first discovered SOIL in 2015 and am now happy to work with the SOIL family. “My days start by checking in with the teams to see what work they did the previous day and what’s coming next. Much of my day involves communicating across SOIL’s team, checking in with my supervisor, responding to emails. I also supervise the composting team on the treatment site to ensure that waste is treated according to all safety protocols. “Even though it’s not directly an educational program, SOIL’s EkoLakay program educates people on health, hygiene, and why safely managed toilets are important. This has a huge impact on public health in communities where open defecation is common. Transforming wastes into a resource that helps the soil retain water, regenerate top soil, and increases agricultural yields is another important impact of SOIL’s work. Because SOIL’s Konpòs Lakay compost is 100% natural, and free of chemicals, crops grown with it will not contain harmful chemicals that could make consumers sick. And, increased crop yields will increase revenues for farmers, and more people will be able to eat – all thanks to SOIL! 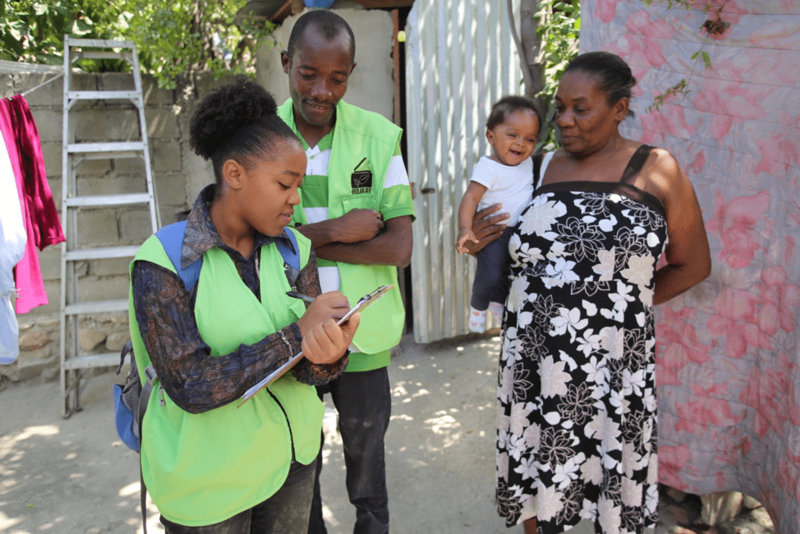 SOIL is lucky to have a leader like Beverly guiding our teams in Port-au-Prince as we work to reach more families with an affordable and safe household sanitation service. In case you missed Beverly’s interview with RFI (in French), tune in to the conversation here. *Learn more about the Haitian Education and Leadership Program (HELP) here. No Replies to "Meet Beverly, SOIL’s Port-au-Prince EkoLakay Director"